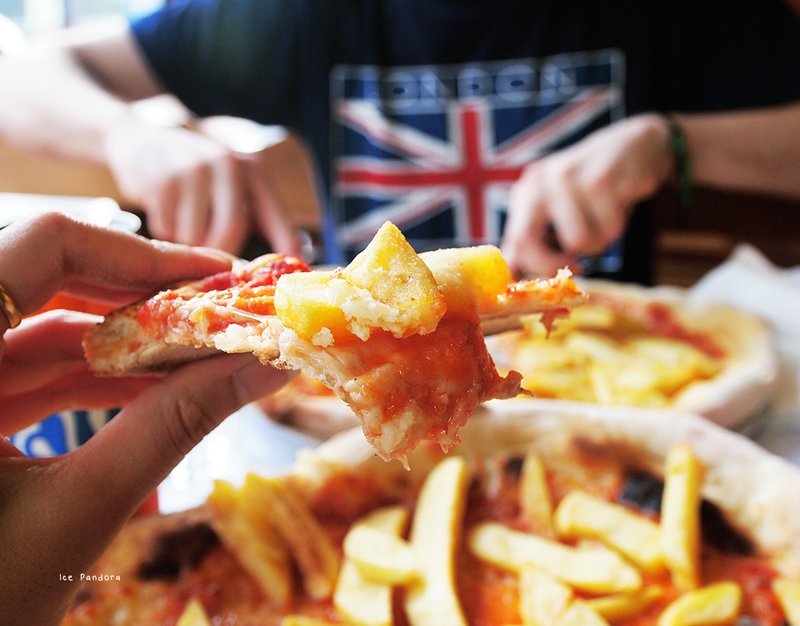 Have you tried pizza fries before? 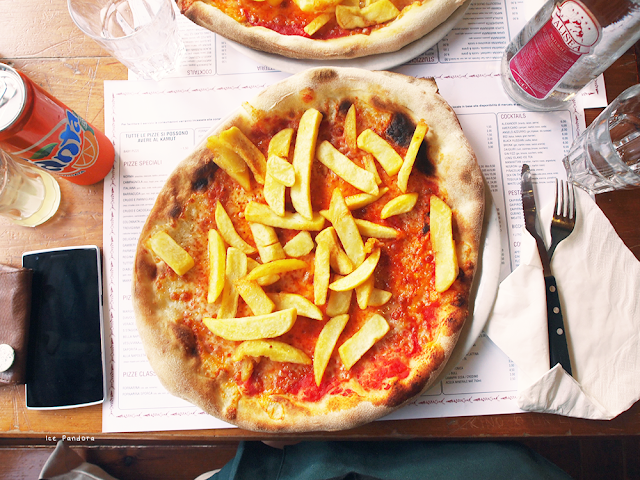 Not as a separate dish but really as pizza with fries on top? This combination is so fat and odd which made me excited about it once I first spot them during my holiday in Italy. 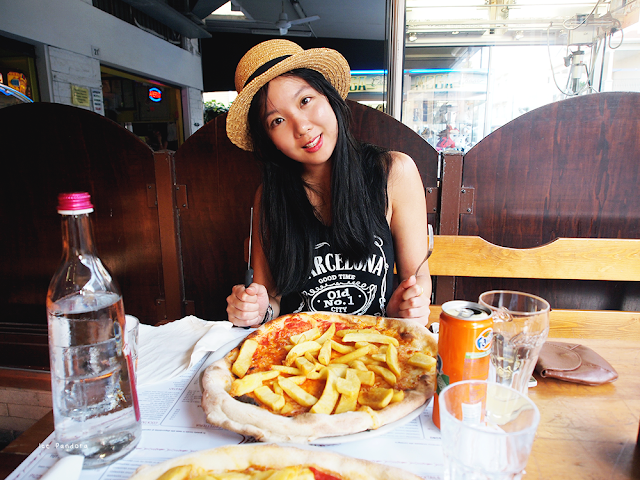 I was always looking forward for supper back in Italy because me loving Italian cuisine is no secret. And I was certain dying to try out real Italian pizza and having one with fries on top was sadly my only Italian pizza but truly one of the best pizza I had in life. I’ve learned a thing or two about pizzas as well! My friend F. who lives in Italy tells me that pizza from North Italy has a much thinner base/crust than the ones in South Italy which are thicker. And F. also claims that service in Northern Italy is better than Southern once. Well am I lucky we were staying in the North part! So back to the supper and the promised pizza fries! 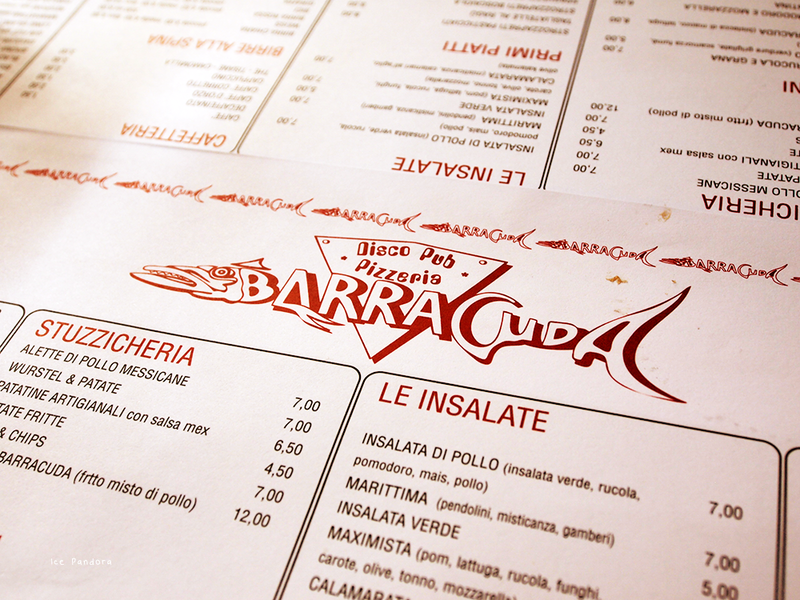 We were walking at Rimini beach shore and spotted this chilled and laidback looking pizzeria called Barracuda. 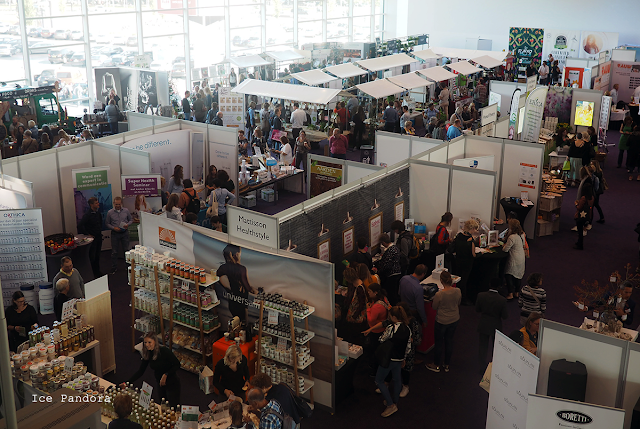 It was mostly empty (we were a bit on the earlier side) with just one occupied table. Even we were a bit on the early side, we took a shot and it was bulls-eye. Heb jij weleens pizza friet gegeten? Niet als twee verschillende gerechten maar echt als pizza met frietjes als topping? Deze combinatie is zo vreemd en lekker die mij meteen enthousiast maakte toen ik eentje zag tijdens mijn vakantie in Italië. Altijd verheug ik me op het avondeten of eigenlijk alle maaltijden want de Italiaanse keuken is zo lekker! En sowieso moet je de echte Italiaanse pizza hebben geproefd en ik dacht “hey waarom niet eentje met frietjes bovenop?”. Helaas is dit ook het enige pizza gegeten te hebben in Italië, maar het was zeker een van de beste pizza’s allertijde! Daarnaast heb ik een en al wat geleerd over de pizza. F. die in Italië woont, vertelde me ​​dat pizza's uit Noord-Italië een veel dunnere pizzabodem heeft dan uit Zuid-Italië, die dikker zijn. En F. beweert ook dat de service in Noord-Italië veel vriendelijker is dan Zuid gedeelte. 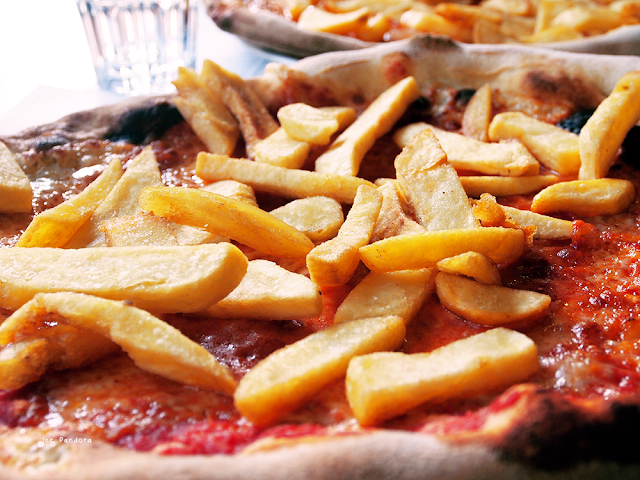 Maar goed even terug naar het avondeten en de beloofde pizza friet! We liepen in Rimini aan het strand kust en zagen dit relaxte pizzeria genaamd Barracuda. De pizzeria was leeg (we waren aan de vroege kant) met maar 1 bezette tafel. Vroeg of niet, we hadden honger en we wagen de sprong en het was raak. And the whole meal only cost €19,50! The pizza base was really thin and there's no way you can eat the pizza in a straight slice. So I followed my friend F. (who's an Italian) and fold the pizza double and ate it like a taco. I enjoyed the simpleness, the taste of fresh pizza base and the saltyness on top of my pizza. Even F. who's quite a picky eater said this is hella good pizza! 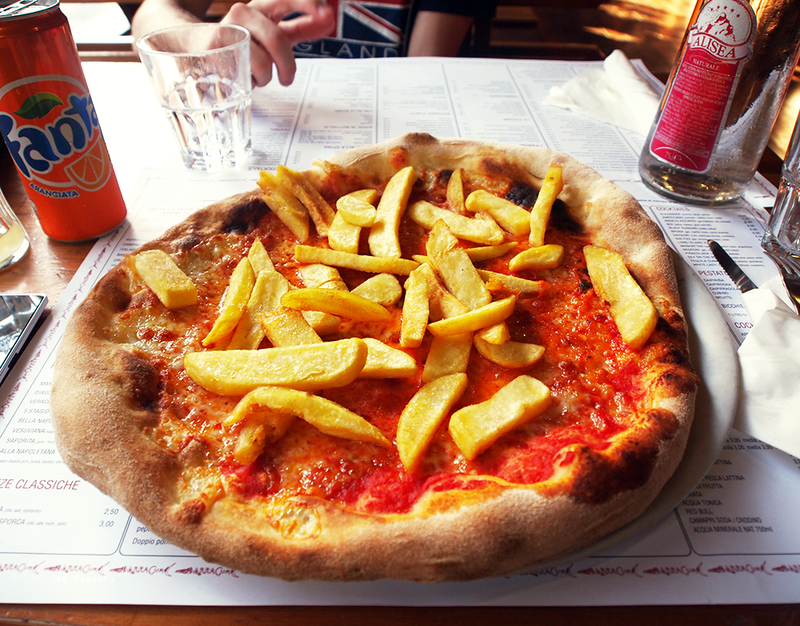 I love pizza and I love fries but I gotta say I haven't tried them together haha! I recently discovered how good potato is on pizza though, so I could be convinced. I havent tried something like that before but it looks incredible! Also, the size of that pizza is giant! That pizza...... looks like the best and worst choice ever hahaha. I wish there was something like this in New York! Oh my gosh, why does this look so good?! 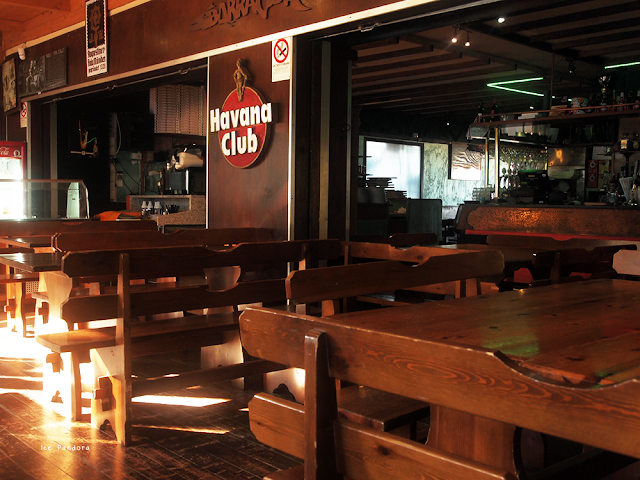 This place looks so lovely and delicious ! SUPER YUMMY! I love carbs with carbs! I don't do it all the time but damn, I never regret! I would have gotten a mozzarella and tomato salad! Can't skip that if I'm in italy and also fresh pasta! OMG I need to visit europe in the next few years!